We love Unicorn Toast. To find out how to create some magic in the kitchen with your children and make your own unicorn-inspired delicious snack keep reading. 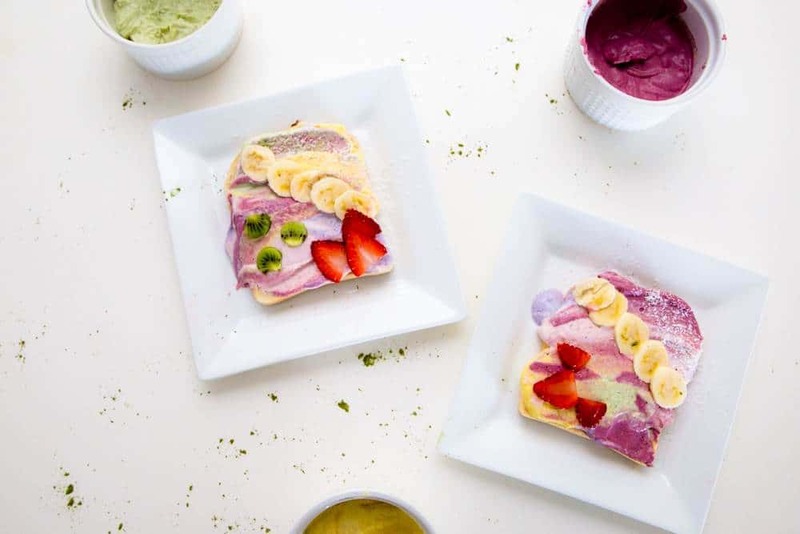 This super cute unicorn-inspired recipe not only looks amazing but can be healthy too! Finding healthy food for children can be a challenge, so we love this recipe. And it is simple enough to get your children involved, from toddlers to teens. 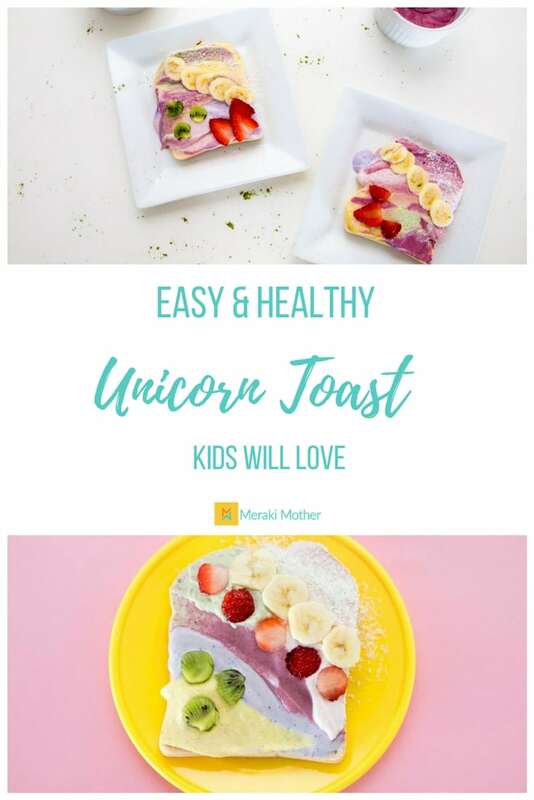 All you need to create unicorn toast that is full of goodness: A slice of toast, a spread ( choose from cream cheese or natural thick yoghurt) and colors. To stick with the healthy choices use natural colors such as beetroot juice to make vivid pinks, Tumeric for yellows and burnt oranges, a tiny amount of spirulina for blue and other natural colors like blueberries, Açaí, kiwi fruit and chlorophyll. Separate the spread into small bowls and have fun experimenting with the natural food colours until you have the hues you want. Separate the spread into small bowls and have fun experimenting with the natural food colors until you have the hues you want. Now you can start to play! If you want a cleaner “paint” look, start with a plain spread then add your colours. You can dollop them on, then spread around to create an abstract effect or go for more stylised looks with lines of colors. If your children need things a little sweeter just add a few drops of honey or maple syrup to the mixtures. To finish off, decorate with sliced fruit, coconut flakes or even cacao nibs. Instead of the natural food colors, you could add vibrant food coloring and top with sprinkles, edible glitter and other fun sweets. 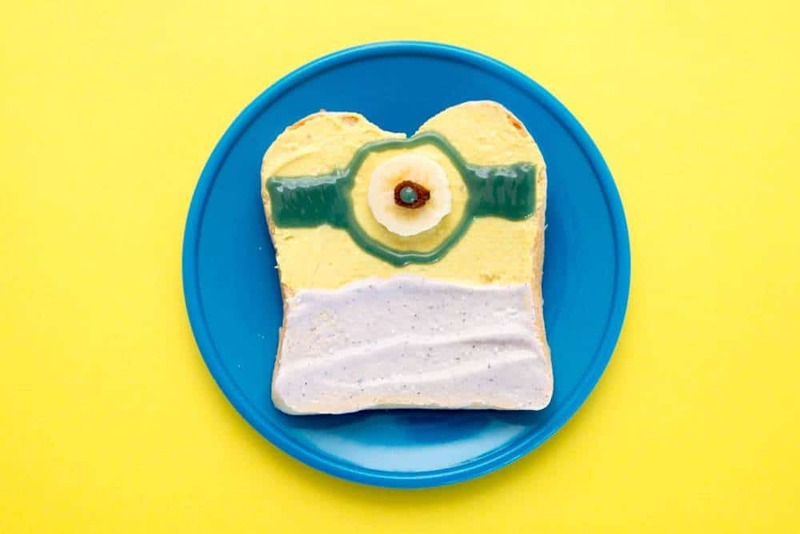 We even used a little food gel and created fun Minion toast! This is such a fun recipe to get children involved in making food. It can be amazing how quickly they will eat something if they have created it themselves. Looking for some more bright, healthy and fun food? Check out our Rainbow Rice Paper Rolls here. We would love to see your unicorn toast creations. Make sure you share them with us here or over on our Instagram account by using #merakimother. 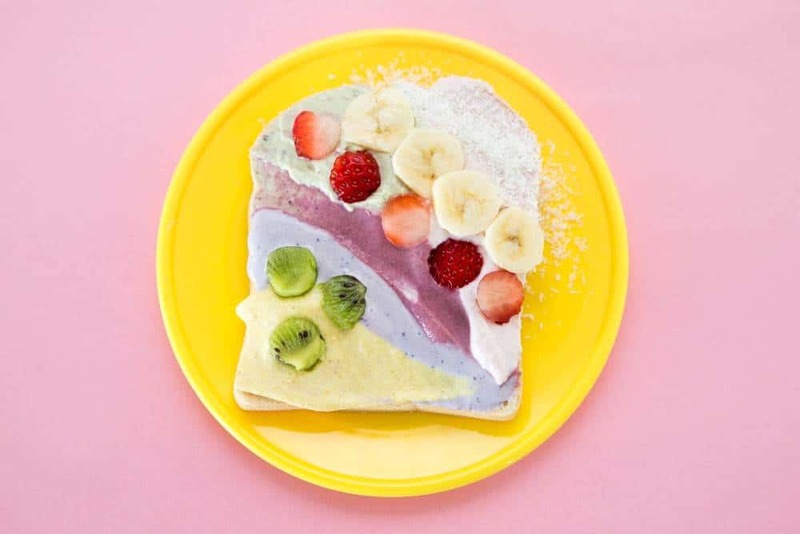 Unicorn Toast was originally created by food stylist, Adeline from Vibrant & Pure.